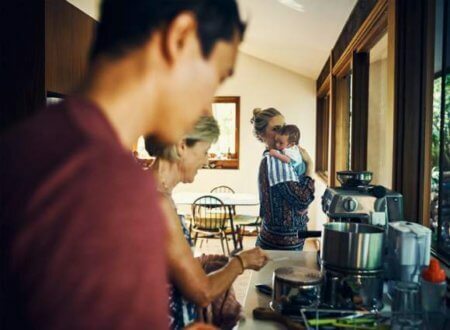 In a nutshell: The WavHello SoundBub Portable Bluetooth Speaker and Soother offers families the ability to calm their children with the help of songs and pre-recorded voice clips through their mobile phone. The device’s mobility enables parents to change the soothing sounds as they see fit to ensure children are at ease wherever they go. 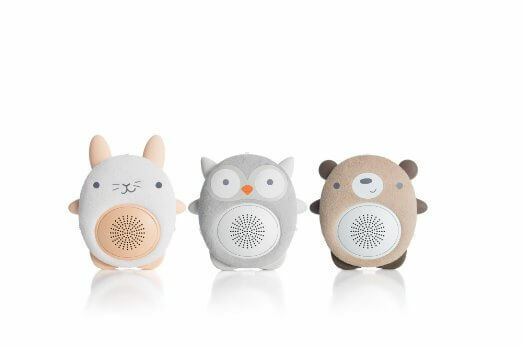 The perks: The SoundBub comes in three child-friendly, animal-shaped choices: Bella, the rabbit; Ollie, the owl or Benji, the bear. Via the VoiceShare mobile application and a Bluetooth connection, moms and dads can pair their smartphones with the speakers to play personalized content to soothe their babies. Parents can use this capability to record themselves reading children’s books, singing lullabies and more that can then be used to calm their young ones during naptime or bedtime. Enables parents to change the soothing sounds as they see fit to ensure children are at ease wherever they go. The blue tooth speaker and soother itself is chew-safe, so teething babies can gnaw on the device without issue. Parents can set the handy timer in 30, 60 or 90 minute intervals and play white noise if their other recordings aren’t doing the trick. Families will also gain access to a free digital album with their purchase, filled with instrumental lullabies and additional white noise tracks. Furthermore, SoundBub’s lithium battery can be recharged as necessary. The headaches: Although the SoundBub speaker comes with a continuous play option, the device must be plugged into a power source to do so. Without connection to power, the battery will only run for approximately two hours if this choice is selected. The instrument emits a white light when in use that can be distracting to children and parents alike, especially during sleep. Families must also keep their Bluetooth-connected mobile devices in close range of the speaker for best playback. Final verdict: The WavHello SoundBub Portable Bluetooth Speaker and Soother gives families a bang for their buck. For $59.99 parents can rest assured that their babies will find more restful sleep with the help of the various songs and noises of the WavHello SoundBub. I’m an improv comedy junkie living in the Windy City. When not experiencing everything the wonderful city of Chicago has to offer, I’m hunting down the latest technology for review. I love seeing what works, what doesn’t and how today’s tech can make moms’ lives just a little bit easier. Once I’m done playing with the latest tech toys, odds are you’ll find me taking my pup Roxie out for a walk. Don’t worry – she’ll be nice as long as you give her a good belly rub. 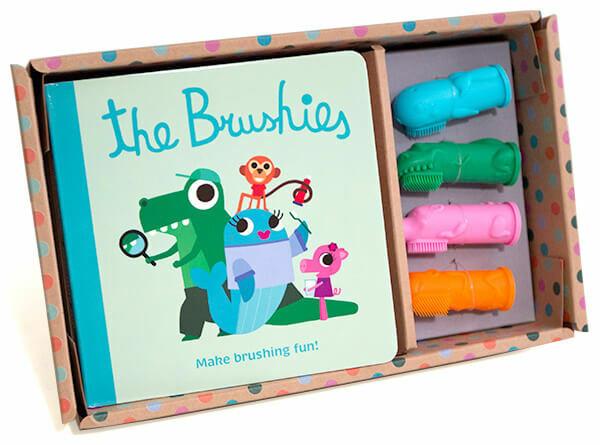 In a nutshell: The Brushies allow families to teach their children proper dental hygiene with the help of four, fun finger puppet toothbrushes. The kit, which also comes with story book, is perfect for kids from four weeks to four years old. The perks: Dr. Hilary Fritsch, a dentist, and Dr. Colleen Crowley, a psychologist, came together to develop The Brushies after realizing how much their children disliked brushing their teeth. Using their medical backgrounds, the pair made sure the tools were safe for babies and kids to use. The Brushies are made from 100 percent food-grade silicone and are non-toxic, odorless and tasteless. Made in the U.S., the toothbrushes can be washed easily with warm water. Children can learn about Momo, Chomps, Pinkey and Willa – the names of the four finger toothbrushes – by looking through the illustrated book, which parents and kids can enjoy together. The headaches: It’s difficult to find anything wrong with this product. The Brushies are not only easy to use and all natural, but the fact that they were created by two doctors only adds to their credibility and success. Since so many children may dread brushing their teeth, these tools add an element of fun and allow parents and kids to find entertainment in dental care. 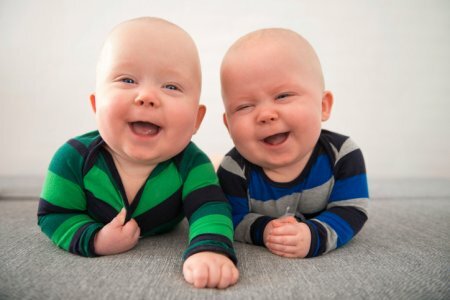 Starting at four weeks, families can instill healthy dental techniques, which youngsters can continue to practice as they grow up. Final verdict: The Brushies are a great way for parents to teach their children good dental hygiene in an interactive way. The book makes the process even more fun for families, as the combination of the story and the toothbrushes can take fearful kids’ minds off the process of brushing their teeth. The founders of The Brushies have also partnered with Alliance of Moms, a nonprofit whose mission is to break the intergenerational cycle of babies born to teens in foster care. A portion of the proceeds from sales of the toothbrushes will go toward supporting children’s dental and overall health. In a nutshell: This battery-free thermometer is powered by parents’ smartphones, enabling them to take temperature readings in seconds for all members of the family. With FDA-approved accuracy and updated information regarding current illnesses being spread as well as real-time advice, the device is a steal at $19.99. 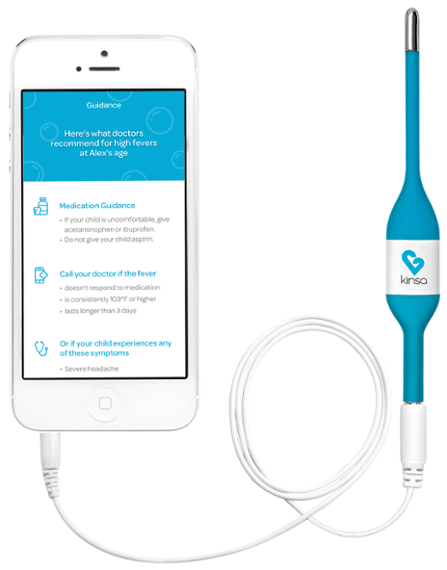 The perks: The Kinsa Smart Stick Thermometer can be used for infants, children and adults, and easily shares information with medical professionals via the smartphone application. The device is lightweight but flexible, and comes with a comfort tip that makes temperature readings – orally, rectally or underarm – painless and provides no-fuss cleaning. To keep kids entertained during the 10-second average process, the instrument offers an interactive bubble-popping game tots can play. In addition, the thermometer doesn’t require batteries, eliminating another annoying expense for families. Quick readings are a plus, as is the fact that the instrument doesn’t require batteries. A setup adapter and how-to manual are included with the thermometer itself and the smart stick cable to attach the smartphone to the device. 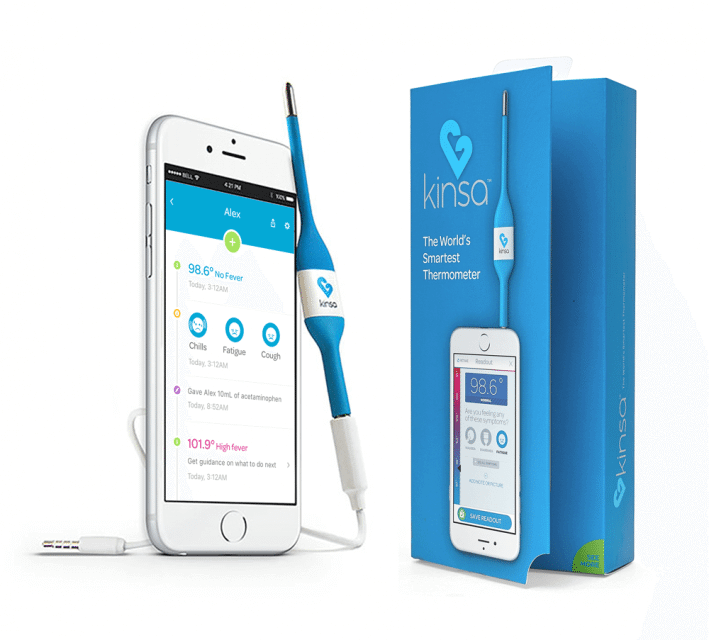 The headaches: The Kinsa Smart Stick Thermometer is not compatible with the newest Android or iPhone smartphones. The instrument hooks up to the headphone jack, making iPhone 7 users unable to use the thermometer. This could be rectified in future updates, but there’s been no word from the company yet. The device can also deliver inconsistent results if users attempt to verify past temperatures. Final verdict: The thermometer is a great buy for $19.99. It allows families to track their health, sharing results with medical professionals and monitoring illnesses currently affecting surrounding areas. The application is easy and fun to use if parents have the appropriate smartphone software. Quick readings are a plus, as is the fact that the instrument doesn’t require batteries, meaning the chances of it breaking or dying are low. This is a tool that all members of the family will be able to use and enjoy. In a nutshell: This thermometer does two important things really well: It provides an exact temperature within one second and it gathers readings to easily sync with the free Kinsa app for intuitive, ongoing tracking of your child’s health. However, these helpful advanced features result in a higher price than other thermometers in the market. The perks: The Kinsa Smart Ear Thermometer’s biggest advantage is its smart technology, which allows it to take fast, accurate readings that sync with the app. Families with children who get sick often or who need ongoing medical care may benefit from these tools. In addition to tracking temperature, the app that’s connected to the smart thermometer allows you to track symptoms, diagnoses, medication doses and images related to a child’s health history. The app can also provide real-time guidance on next steps to take. The headaches: This thermometer has a lot of great advanced features, however may not meet every family’s budget., especially if their little ones rarely get sick or don’t have health challenges. 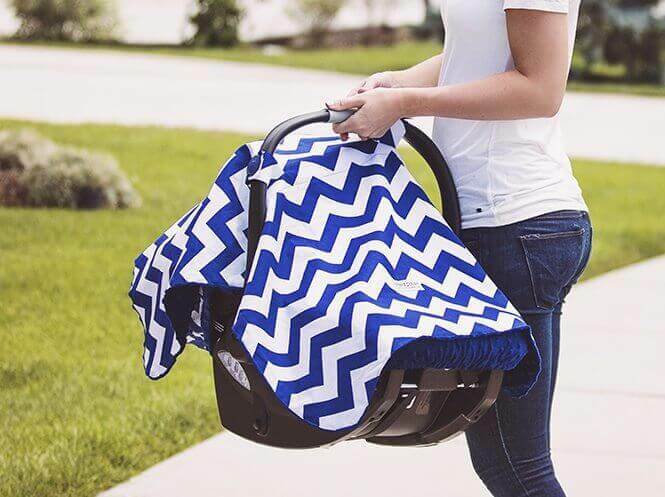 Final verdict: Kinsa really thought of everything a new parent or guardian may need. Not only is it FDA-cleared, but the Kinsa Smart Ear Thermometer is meant to take a squirming, unhappy child’s temperature quickly and painlessly and then make it easy for families to track each individual child’s temperature readings and symptoms within a free app. When we tested the product, we specifically wanted to see if it was truly able to provide a precise reading quickly. We weren’t disappointed; our tester hit the button once, gently placed it in his ear, pressed the button a second time, and in less than a second we had his temperature of 98.7 degrees Fahrenheit. His temperature stayed consistent as we continued to use it. The thermometer’s step-by-step guide (which is included) provides users with an easy-to-read temperature guide through the use of emojis. We loved this part: a smiley face means the little one has a healthy temperature, an unhappy face means he or she has a fever, and a crying face indicates the child’s fever is high. This thermometer brings taking a temperature into the modern age. 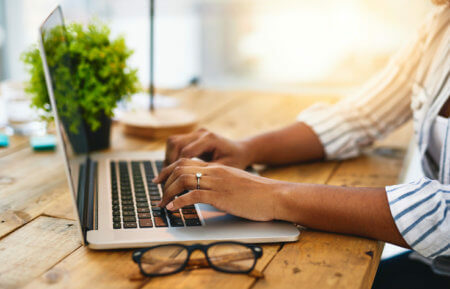 While the thermometer can be used with or without the app, the main selling point of this particular item is the ability to sync information with a smartphone or similar device. 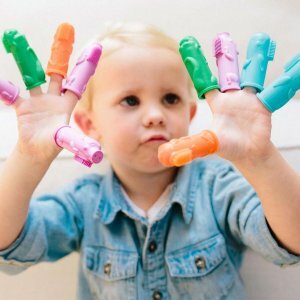 The Kinsa app is free, and it has a bunch of great features for parents and guardians who want their children’s information to be in one easy-to-access place. 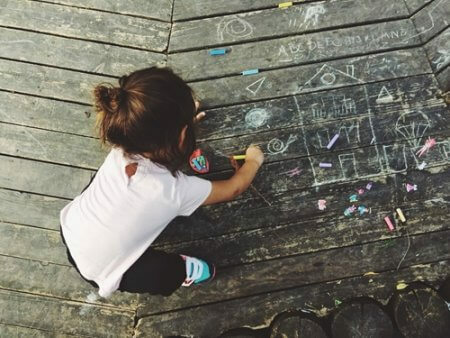 The Kinsa app allows you to organize your children’s medical information into individual profiles, and it includes age-specific recommendations and information to help families keep track of symptoms. Users of Apple products can even sync the Kinsa app to their HealthKits. All this can be helpful to parents and guardians with children who have multiple health concerns or who want additional guidance about their little ones’ health. 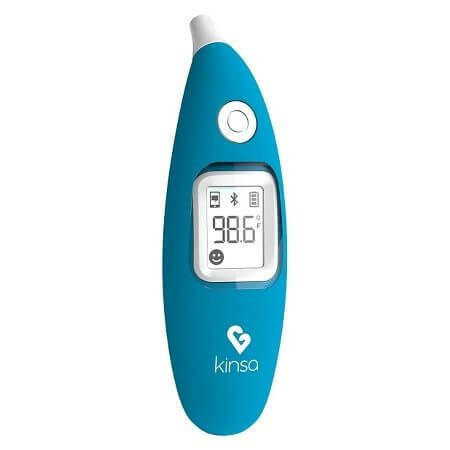 To learn more about the Kinsa Smart Ear Thermometer click here.